In a report released by social media agency We Are Social this year, it said internet users in the Philippines stay in social media the longest with an average of 3.9 hours a day. This may come as no surprise as the Philippines is dubbed the “social media capital of the world.” In fact, according to the same report, 67 million Filipinos already have access to the internet. That’s 63 percent of the whole Philippine population—significantly higher than the global internet penetration rate of 50 percent. 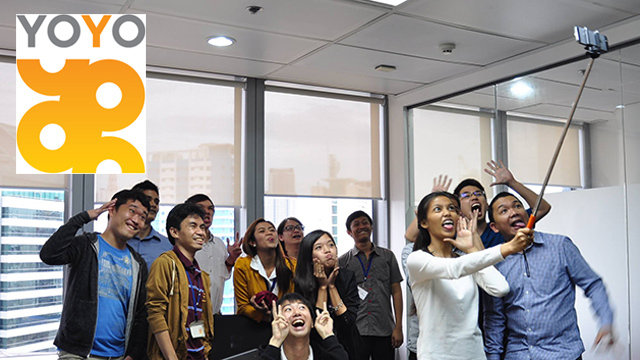 Recognizing the Filipinos’ penchant for social media and internet use, Yoyo Holdings Pte. Ltd., a tech startup based in Singapore, developed a rewards-based platform where users can get free data in exchange for viewing advertisements through an app called PopSlide. With the PopSlide app, users can gain points from viewing ads or answering surveys. These points can then be redeemed for prepaid mobile load, which can in turn be used to buy or register for mobile data promos. “We believe that advertisement has a power. That’s something made free [for consumers],” said Yoyo Holdings CEO and founder Yosuke Fukada during the ASEAN-Japan Fair sponsored by the Japan International Cooperation Agency (JICA) in time for the Association of Southeast Asian Nations Summit in Manila last November. Instead of having to go to the app directly, PopSlide has a lock screen feature that enables users to access advertisements easily and immediately. Once this feature is activated, they can just swipe left from their lock screens to get corresponding points. “It’s like a magazine. You can see many contents on the lock screen. And once you unlock, you can get points without any stress, without any effort,” Fukada said. 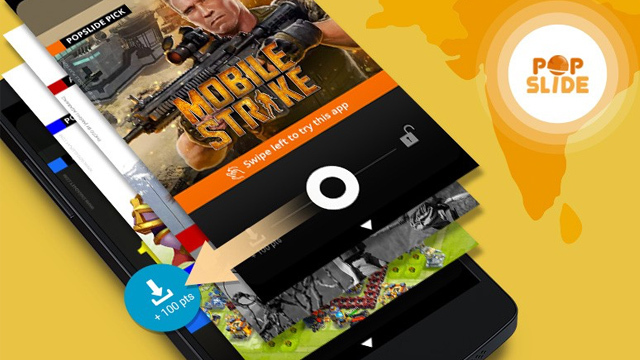 PopSlide users can also gain points by downloading certain apps (mostly games, though some require to be played or used for a certain amount of time), referring other people to the app, or even by simply opening the app every day. The app gives five points for using the app every day and has a built-in daily roulette game that gives out points as prizes. The Philippine version of the app requires a minimum of 3,000 points before it can be redeemed for prepaid mobile load. For every 1,500 points, users can redeem mobile load worth Php15, 3,000 points for Php30, and 5,000 points for Php50. This is available for Sun Cellular, Globe Telecom, Smart and Smartbro subscribers. Aside from users, businesses can also benefit from the app by utilizing it as a marketing opportunity. Fukada shared the app has been downloaded 2.3 million times from the Google Play Store as of November 2017, and they are currently operating in the Philippines, Indonesia, Vietnam and India. Fukada said e-commerce companies, like Lazada, are their biggest clients across the four countries. In the Philippines, he mentioned Unilever, Nestlé, Intel, McDonald’s and San Miguel as their biggest clients. 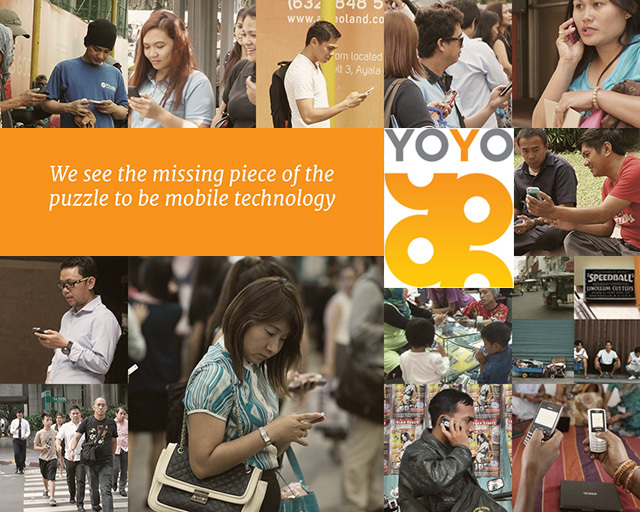 Founded in 2012, Yoyo Holdings is a free mobile internet platform for the “next billion” consumers. Though the app is only currently available for android phones, Fukada proudly shared they already have provided one petabyte (1,000 terabytes) of data to date. No Fakes: New PH Online Store Sells Only Genuine Items but Can It Attract Bargain-Hunting Pinoys?